Wow! We are at the end of April already! Time keeps flying by so quickly. It will be summer before we know it! We have had some great weather lately. Yesterday was almost 30 degrees C, and humid! Today, it's half of that, but man it feels chilly! I'm looking forward to the nicer weather, and hoping to spend some more time outside! I'm so excited! I made an appointment for next week to get my hair lightened. I have the balayage now in my hair, but it's still not at the level of blonde I would like. So, off I will go! I'm hoping we can add a little more highlights at the top of my head as well. We'll see! But I'm so excited! I'm also planning to get a little cut off... not too much but enough so that I'm not holding myself hostage when laying down at night, and yank myself back with my elbows lol. Have you guys received your VIB sale orders? I made two throughout the sale. The first one made it here with no issues. My second package was supposed to be here on Tuesday (April 25th) was scanned out for delivery and never made it here. After going back and forth with Sephora and Canada Post, it somehow managed to be re-processed at 2am this morning (April 28) and was scanned as out for delivery as well. So, hopefully it actually makes it today! It was such a headache trying to figure it out with Canada Post. They didn't want to help me because I'm the received, and then Sephora just kept telling me that it's on it's way, but it was out for delivery for 3 days lol. Ah, I really hope it shows up today! So our diet has been a success so far! 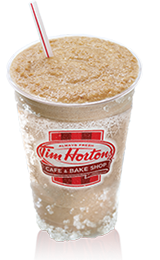 Minus the two Tim Hortons Ice Caps that my Dad has given me. I've had to remind him that I can't drink it because I'm on a diet. I snuck two in but that creates a bad habit and I need to cut it off cold turkey. As long as I can have some half and half, and liquid sweetener, I can make myself an iced coffee. Although, I'm looking forward to $1 drink days from McDonalds, because their iced coffee with sugar free vanilla syrup added is delicious! But so far, I'm down 5.5lbs in 10 days. Which again, I know is water weight.. but I'm happy to see it going down! 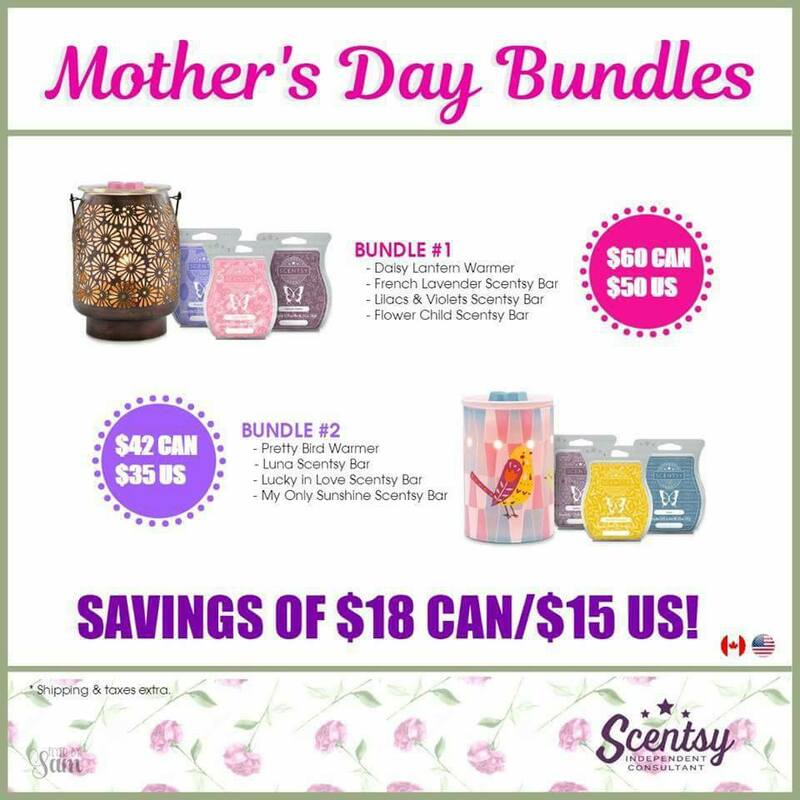 And as a final reminder... Scentsy bricks and Mother's Day bundles are over at the end of the month, so if you were thinking of trying any of them out - this is the final stretch! Everything is while supplies last, so if something sells out before the 30th, that's it! You can place your orders on my website if you're interested www.deidrec.scentsy.ca and if not, that's cool too!